Mike Ashley likes a punt. He’s been known to win and lose over a £1 million pounds a throw on the roulette wheels of some of London’s swankiest casinos, and of course he has a passing interest in football as well. So far his interest in Rangers extends to £3 million in interest-free, albeit secured, loans. The question for Rangers fans - and by extension all Scottish football fans - is what game Mr Ashley is actually playing. Britain’s 23rd most wealthy individual appears to be taking his relatively modest interest in Rangers seriously. £3 million may be a few bob more than the rest of us would consider pocket money, but Mr Ashley plays at a different level. Whilst the man in Sauchiehall Street might look to strike it lucky at Supercasino.com Mr Ashley might be more inclined to simply buy the whole operation outright, just for the fun of it. His net worth is estimated £3.75 billion - give or take the small change. And that’s what makes his moves at Rangers so odd. He can’t buy the club whilst he’s involved at Newcastle, and nobody would ever imagine that he’d walk away from there. He’s ridden through enough stick to have proved that several times over. So that begs the question, are we simply seeing a sharp eyed business man toying with one of the biggest names in British sport simply for the sake of promoting Sports Direct? Or is this an opportunist smash and grab raid to seize an asset and a brand whilst it is going cheap? Whatever the underlying intention, there is no doubting that Ashley is taking his interest in Rangers personally: all the recent boardroom wrangles at the club have seen a reinforcement of the merchandising tie in with Sports Direct as well as effectively giving Ashley the whip hand when it comes to shaping the board of the club going forwards. But is a long term involvement really all this is about? The club insist that of the three offers to refinance recently, Ashley’s proposed loan top-up was the only one that passed due diligence. There is, inevitably an irony in those words being attached to the club at a time of such disharmony, especially since, on paper at least, Ashley’s offer was the one that stood to put the least cash into the club. With an AGM due before the start of the New Year Ashley’s indeterminate status as a sort of ghost backer cannot be sustained for long. In what has all the hallmarks of a brinkmanship manoeuvre, we are all left waiting and watching. At the moment there are far more questions than answers at Ibrox. The staff cuts that followed what has been described as ‘Ashley’s power grab’ suggest that his input is being felt in practical day to day terms. Even the SFA have expressed frustration at his refusal to communicate fully with them. Ashley is keeping everyone guessing - and for all the collateral damage, it does appear that that is precisely how he likes it. What happens to Rangers is not the be all and end all of Scottish football, but television sponsorships are bought and sold on the basis of iconic brands and high-octane clashes between so-called ‘big sides’, not to mention the importance of Rangers’ away support to the rest of the league. Rangers are undoubtedly one of those big clubs, even if they do appear to be being treated as little more than a rich man’s punt right now. Scotland v Ireland: Bring it on! There have been moments over the past decade when Scotland's national team have looked in need of a miracle worker. It's premature to describe Gordon Strachan as that. But maybe he's getting close. He's certainly worked wonders with me. A dozen or so years ago I walked away after one wet, miserable night in Glasgow too many. I've returned sporadically. But tonight I'm not only heading to another rainy night in Glasgow, I'm actually looking forward to it. Expectant. Maybe even slightly confident. Like our last match against Poland I don't quite see this as a must-win. But it does look like another mustn't-lose. And I don't think we should have much to fear against Ireland. They've got good players. They've got a decent manager. They've enjoyed some decent results. The apparent similarities between the two teams suggests tonight could be tight. The various subplots over booing, Roy Keane's Gardai incident, the fact that so many players are drawn from the same leagues combine to add another layer of intrigue. Tight but also feisty. A sell out and partisan crowd. A wet night under the floodlights. The reality is, of course, that we find ourselves in a close group, in Strachan's view the hardest. No team - the Germans are a possible exception - can afford an off night without losing ground. Ireland know that as well as Scotland. Winning your home games is vital. A point for Ireland tonight might just feel like a victory for them. Strachan v Martin O'Neill. Aiden McGeady v the Scotland fans. Roy Keane v the world. A win would give either team a fresh burst of momentum as they look forward to next year's qualifiers. 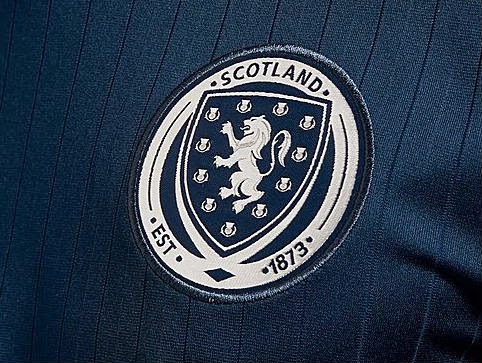 For Scotland the promised land of qualification would feel that bit closer. A tight game. One moment of magic. One mistake. One scrappy, sclaffed shot deflecting past a keeper. That's all it might take. And, unfashionable as the sentiment might be in these more enlightened times, "let's get intae them." Mike Ashley: What's the cost of a £2 million loan? Tough times at the Ibrox at the moment, will Mike Ashley be the saviour? As news was announced that Mike Ashley would be providing Rangers with a £2m crisis loan, the magnate's first order of business was to cull Graham Wallace from the chief executive's position. Wallace, who had been at the club for 11 months, will most likely be replaced by Mike Ashley's good friend Derek Llambias, who has been a long-term associate of the Sports Direct owner and has already been installed as a consultant at Ibrox. Mike Ashley, the current chairman of Newcastle United, played the hero last Saturday and provided the struggling Rangers with a £2m interest free crisis loan. Not only does he own a 9% share of Rangers, but he also has naming rights to the stadium and will propse replacements for two members of the board who are set to move in. Does that seem like a pretty fair deal? What's the true cost of this £2m interest free loan? Well, according to an agreement with the Scottish Football League, Mike Ashley cannot own more than 10% of Rangers while he owns Newcastle United. With other shareholders having more voting rights (as they own more of the club), Mike Ashley needed a way to swing power his way. The loan, presented as an act of generosity, is more likely a political move. The club now has this loan swinging over its head like a weight and Ashley, if needs be, can threaten to drop it when he pleases. Furthermore, Brian Kennedy, who offered a similar package worth £3m, was quickly met with stern words from Mike Ashley's solicitors. Mike Ashley seemed hell-bent on pushing this deal through and he did, using any means possible. So, what does this mean for the financially struggling Rangers? With all this political nonsense going on in the background, it cannot be easy for Ally McCoist to concentrate on what's important: the football. Rangers currently sit second in the Scottish Championship, seven points behind current leaders Hearts and with a game in hand. A recent 3-0 win against Dumbarton, with goals from Boyd, Wallace and Miller, kept Rangers in touch but Hearts remain undefeated while the Ibrox side have slipped up against both the leaders and fellow promotion contenders Hibs. It may show that, although things were falling apart in the background, Rangers, who should be up there at the top, can manage with the pressure of their current financial climate. It can't make easy viewing at the moment for Rangers fans, who don't know whether or not their club is going to plummet into administration at any time. This loan from Mike Ashley should be quash those fears for now but raises even more questions about the future. They next face Dumbarton again, this time in the Scottish Cup. Although on paper it looks an easy game for the Glasgow giants, but that it doesn't make it easy when it comes to football betting. Could the recent changes create a real stir in the Rangers camp? St Johnstone couldn't capitalise on any financial fallout on the pitch at Ibrox as Rangers progressed in the League Cup quarter final last night night. Will a Scottish Cup trip to Dumbarton be trickier? It probably shouldn't be. But you just never know. Written by Gordon Milligan for the Scottish Football Blog. It's the final day of the Homeless World Cup in Santiago and the host nation are aiming for a 2014 double. Chile will face Bosnia & Herzegovina in the men's Homeless World Cup final and Mexico in the final of the women's tournament. The men got there with a last-gasp winner against Brazil in a 8-7 victory. It was tight in the other semi-final as well with the Bosnians eventually closing out a 5-4 win over Poland. Chile's women's team also faced Brazil in their semi-final but enjoyed a slightly more comfortable 4-1 win. They'll face an on-form Mexico though, with Hungary brushed aside 13-1 in the other semi-final. 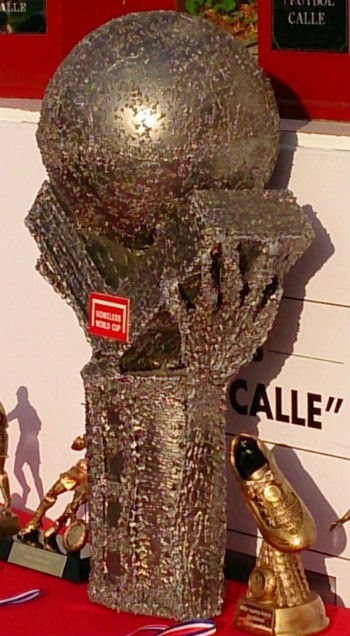 The Chilean men will be looking for a second Homeless World Cup in three years having won the tournament in Mexico in 2012 while Bosnia & Herzegovina get their first taste of a Homeless World Cup final. Having lost the final to Russia last year, Chile's women's team are on the hunt for a first title while Mexico will be looking to win for a second time have lifted the trophy in Rio de Janeiro back in 2010. Scotland's bad run in Group D ended on Friday with further defeats to Bosnia and Peru. That left Scotland progressing to the Municipalidad de Santiago Cup. Defeat to Germany and a win over Austria yesterday mean the Scots face a Municipalidad de Santiago Cup 5th place play off against Greece today. Eight trophies are up for grabs across the men's and women's tournaments today with every team involved in the final day of action. The tournament week is just one part of the work the Homeless World Cup does around the world throughout the year. By joining the Homeless World Cup Supporters Club you can help that work - and be part of something special. Join now to help beat homelessness through football. Jason Cummings is "buzzing". Prince Buaben is ready to face the "chaser." And Fraser Aird would rather be watching Coronation Street. Bad news for Fraser. The omnibus of goings on in Weatherfield will finish on ITV2+1 a full ten minutes before kick off at Easter Road. Maybe there's a soap opera closer to home to distract him. 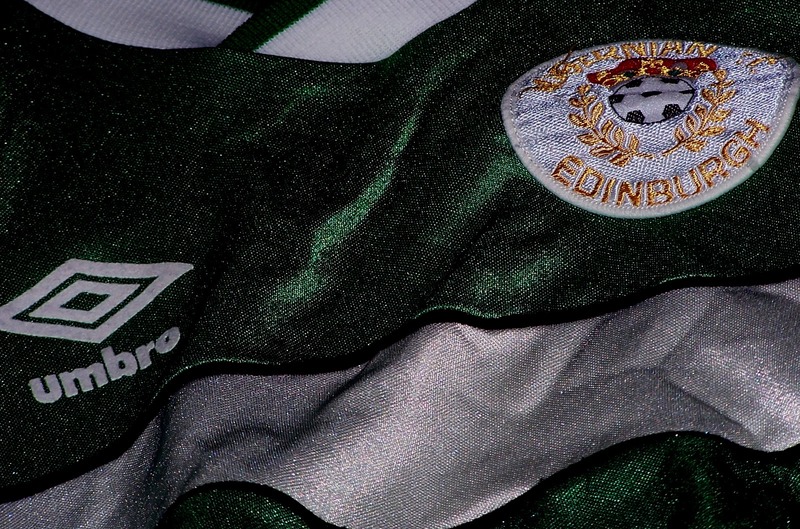 The second Edinburgh derby of this Championship season is upon is. The form book is supposed to crash out of the window. But the bookies still have Hearts as favourites. I don't understand how the bookmakers calculate such things. But I'd reckon the 14 point lead Hearts have over Hibs has something to do with it. And their 10 game unbeaten run. And three wins from the last three derbies. Hibs themselves are four games undefeated since their 3-1 win at Ibrox. But last week's 4-0 win at Livingston followed two home draws with Raith Rovers and Dumbarton. Nine wins from ten games is good going. Four wins from ten games isn't so much. And Hibs have made a stuttering start to the season, handicapped by a disrupted summer. History doesn't much help either. "Too often, Hearts just seem to brush Hibs aside, there's no real resistance. It's almost been inevitable that Hearts would beat us, and Hibs have accepted it." "I never felt as a team we were ever as fired up as Hearts were. They were snarling and scratching at you from the tunnel onto the pitch. They were pressing all over us, people like Sandison, Black, Kidd, Mackay, Levein and Robertson galvanising and pushing each other. Make no mistake, they were angrier than us. They were ready for a derby, ready for a scrap." That sums up the historical drift of these games. Recent history too: Hibs have won just 10 of the last 44. It's true that this season's opening derby at Tynecastle might have been a very different game if Liam Craig had scored his first half penalty. He didn't. And Hearts, as so often before, took advantage. So, having left myself thoroughly depressed, what do I see happening at Easter Road today? I'll be looking to see that form book hurled through a window. I'll be looking to see Hibs play with a pace and incisiveness that hasn't always been evident at Easter Road this season. Too often at home Hibs have done right the things but at such a pedestrian speed that they've been rendered blunt. I'll be looking to Hibs give their fans something to cheer about. And, at the end of 90 minutes, I'd be happy to see a draw. The 2014 Homeless World Cup got underway in Chile on Sunday with Scotland taking their place in qualifying Group B alongside Hungary, Indonesia, Northern Ireland, Norway and South Korea. And, in just the third game of the tournament, they got off to a winning start with a convincing 8-2 win over Norway. The first Monday game started with defeat to Indonesia, a tight game ending 7-5. Back in action four hours later, the Scottish players put that setback behind them with another big win as South Korea were beaten 8-1. Yesterday's first game was another close affair but this time Scotland prevailed, winning the sudden death penalty shoot-out after a 5-5 draw with Hungary. That left a Home International to round out Group B and Scotland and Northern Ireland served up a thriller for the Santiago crowd with the Scots eventually claiming a 10-8 win. And it was an important win. One defeat from the opening five games left Scotland in second place behind Hungary in a very close Group B with Indonesia just pipped into third and Northern Ireland a further point behind in fourth. Norway and South Korea finished in fifth and sixth. That means Scotland are ready to take their place in Group D as the Homeless World Cup continues today. They're joined by Russia, Peru, Lithuania, Hong Kong and Bosnia & Herzegovina. They kick off their Group D challenge today against Lithuania at 4pm our time. You can follow all the action for Santiago live at the Homeless World Cup website. The Scotland squad is again coached by Ally Dawson. The BBC's annual Price of Football survey is always guaranteed to generate plenty of chat. Chat that normally concludes: "The price of football? It's far too expensive." Which at many clubs it almost certainly is. The clubs argue that the survey offers no more than a snapshot, a glib spot of attention seeking that ignore the bigger picture. Hibs, for example, suggested that the headline figure of £405 for an adult season ticket is offset by special deals like £1 offers for children. Is football value for money? Its fiscal beauty is in the eye of the beholder. How can you even measure value for money? Cost per home win? (So far this season that's £202.50 for me at Easter Road.) Cost per home goal? (So far £67.50). If you thought about value for money, you probably wouldn't bother going to games. Supporting a team doesn't work like that. What the Price of Football survey actually raises is yet another split between clubs and fans. Clubs operate as businesses. Fans don't - usually - see themselves as consumers. The more far sighted clubs will try and bridge that gap. But most still use it in the most dastardly way possible to wring every last drop of cash out of supporters. You'll pay for your loyalty, they'll make sure of it. And fans tend to let them get on with it if the team is performing. It's the rank rotten football of the last few seasons that has left many fans drifting away from Easter Road, not the cost of watching it. Maybe fans do have a tipping point though. Just last Saturday a revived Scotland were under supported against Georgia at Ibrox. You might have put money on the befuddled SFA being the organisation that finally pushed its fans too far. Because that's the one power fans have: to not turn up. Unfortunately for many people that option is actually worse than going and paying inflated prices. It's "our" team. And what else would we do on a Saturday afternoon anyway? So we let the clubs get away with it. And so it goes on. Until next year. When the BBC Price of Football 2015 will reveal exactly the same thing again. One thing that is in my control - a boycott of the catering kiosks at Easter Road. I give them chance after chance. Never again. And this time I really mean it.